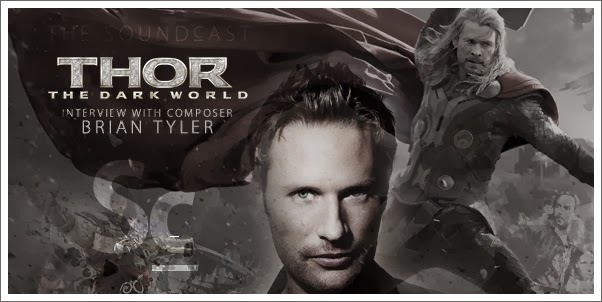 Composer Brian Tyler returns for his fifth appearance on The Soundcast to talk about his new, out-of-this-world original score for the THOR: THE DARK WORLD. He also talks about his pastoral score for STANDING UP, his magical connection to NOW YOU SEE ME, going small-er with ASSASSINS CREED IV: BLACK FLAG, keeping his TV-game going with SLEEPY HOLLOW (Fox) and how he went from wanting to score CAPTAIN ATOM to IRON MAN 3. 11:30 - "Iron Man 3" - What happened to Captain Atom? 15:18 - "Assassins Creed IV: Black Flag" - More Sherlock than Pirates. 19:11 - "Sleepy Hollow" - If it ain't baroque, don't fix it. 37:07 - What do you know about Captain America: The Winter Soldier? *Special thanks to Dan Barry at Chasen & Company for helping to make the interview happen.